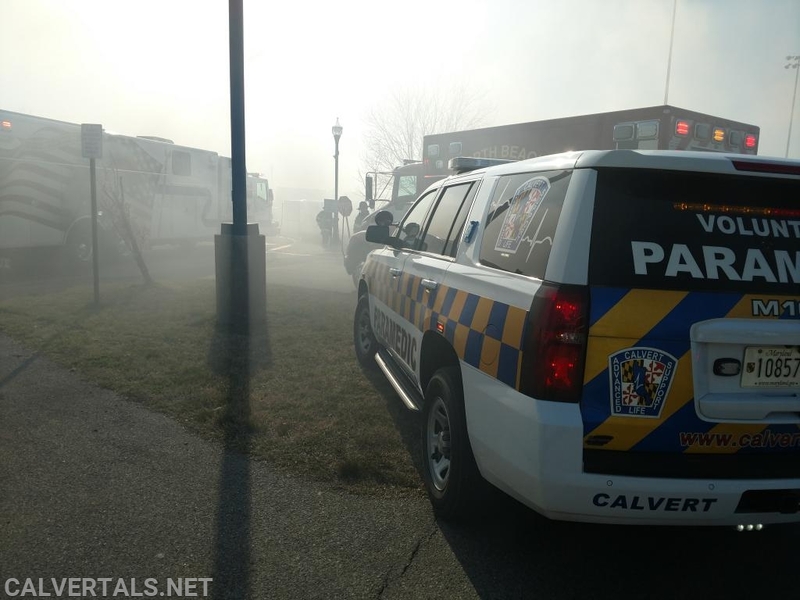 On the afternoon of 4/3/2019 at approx 1530 hrs the Medic Unit and northern Calvert Co fire departments were alerted for a working townhouse fire in Chesapeake Beach. E11 arrived on location within minutes reporting heavy fire and confirming subjects trapped. First arriving units made several valiant attempts to reach the trapped occupants inside the home but were forced to retreat due to a structural collapse. During the rescue attempts a few FF received burns to their body trying to rescue the trapped occupants. M103 arrived on scene with the 1st alarm units and joined up with the EMS sector, realizing that he had two occupants trapped and two FF's burned PMIC Barnett requested Calvert to alert two more ALS units. 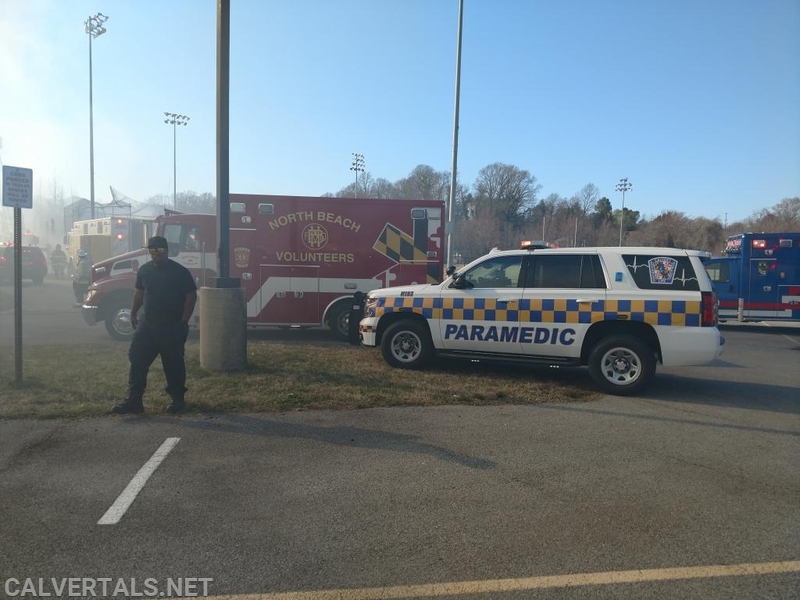 Chief10 responded from Lusby and AACoFD PM42 was alerted bu never responded. PMIC Barnett (M103) worked with BLS crews to asses the severity of burns received by the FF's. 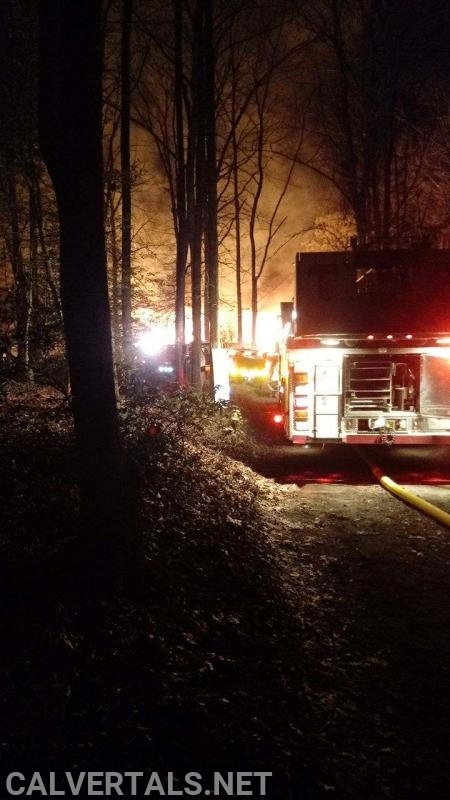 Ultimately both FF's were transported by ground to Washington Burn Center. Chief 10 arrived and staged in service at the entrance to the complex to support any further injuries. After approx 45 mins the scene settled down and another CALS PMIC arrived POV and staffed a PEIP ambulance on scene. At this point Chief10 cleared the scene and was immediately placed on a working cardiac arrest in Broomes Island. 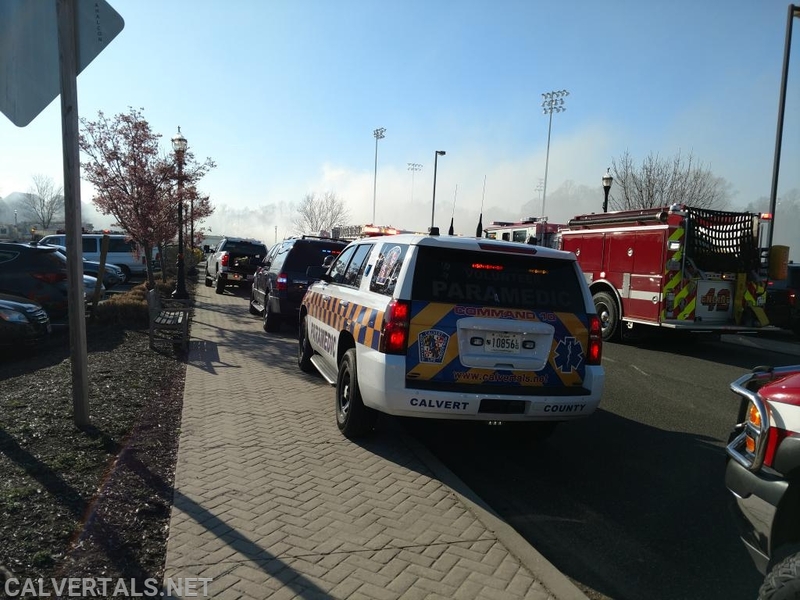 M101 (PMIC Wall) had placed a medic a medic unit in service during the fire due to the large quantity of calls coming in and all available ALS resources in the county committed to the fire. 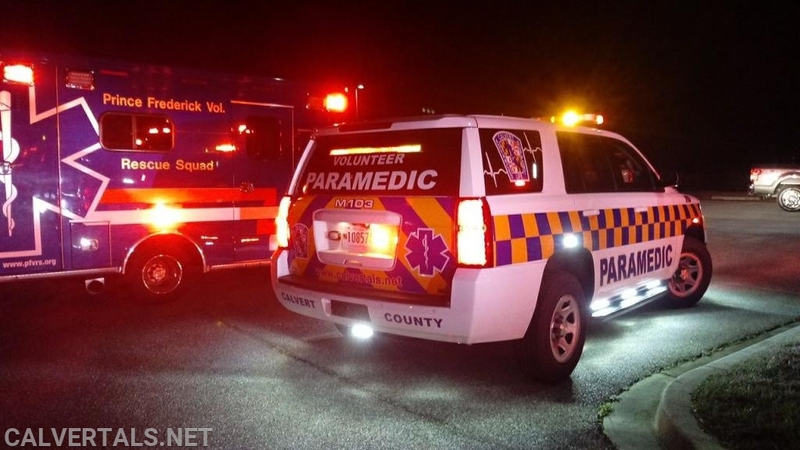 M101 was the first arriving medic unit to the full arrest and was backed up by Chief 10. Just three hours later M103 (PMIC Barnett) and Utility 10 ( G.Joslyn) were out responding to the 2nd working fire of the evening just down the street from CALS. Chief 10 on location of the 1st, fatal fire parked out of the way so ambulances could get out from the scene. 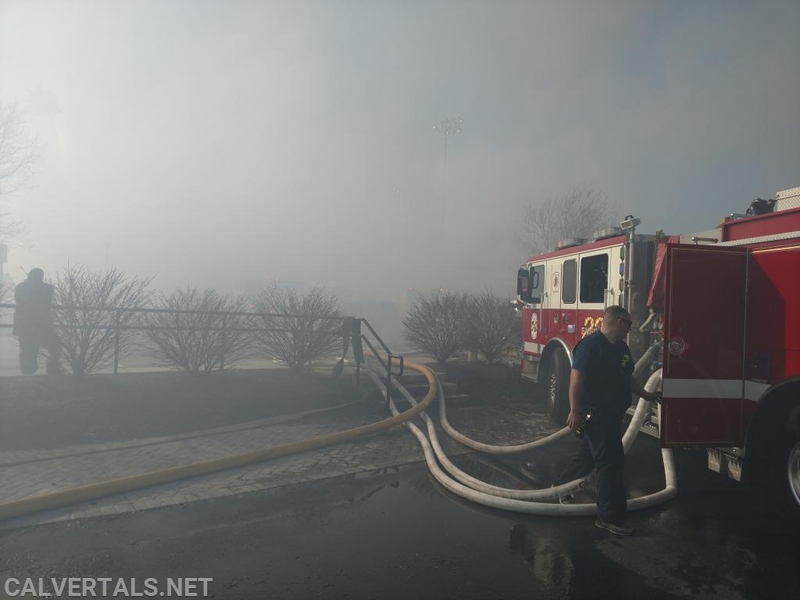 E22 supplying the attack engine and Tower ladder. 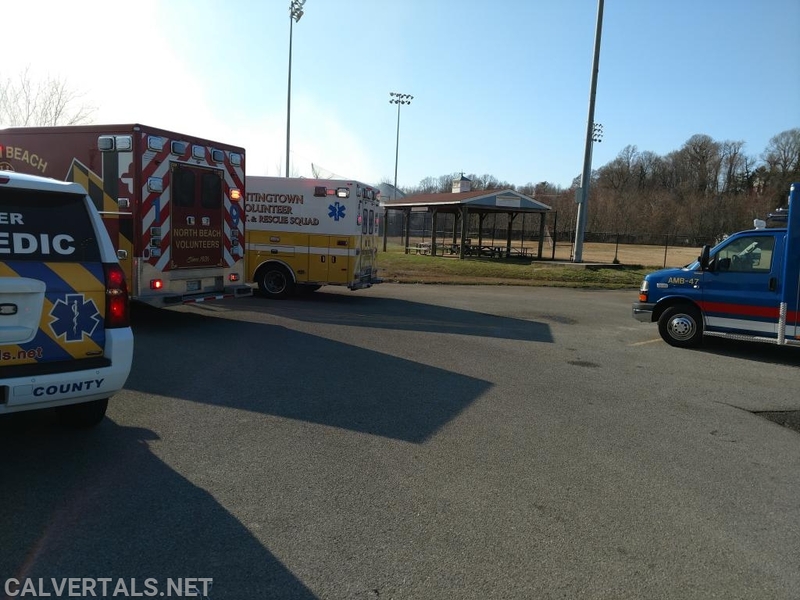 M103 and 3 of the 4 ambulances that were on scene standing by. Keeping the medic unit out of the way. 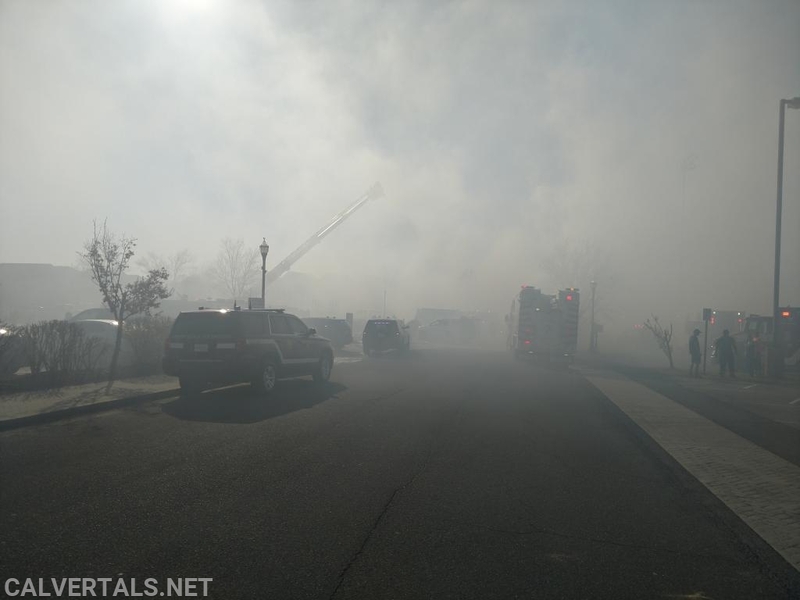 Smoke from the fire covered the entire neighborhood. M103 back in EMS staging for fire #2 of the shift.